In addition to our indoor rinks at the Civic Center, Harman Park has two lighted rinks, one for hockey and one for pleasure. Skate rental and warming house with restrooms are on site. Click here to see the Open Skate schedule at the Civic Center. New Ulm is home to the New Ulm Steel, a Junior A hockey team! The team, which is part of the North American Tier III Hockey League (NA3HL) consists of players between the ages of 16-20 from all over the world. 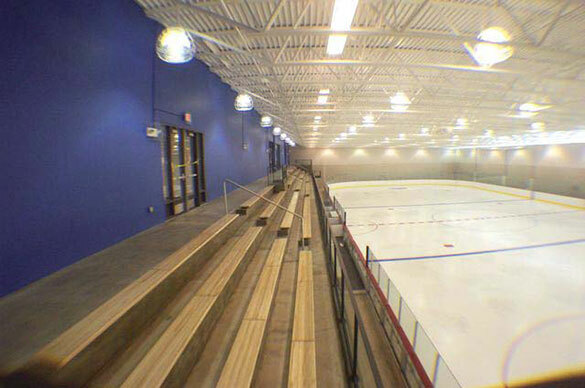 Catch a home game at the New Ulm Civic Center and cheer them on to a win! Schedule and ticket information is available here.